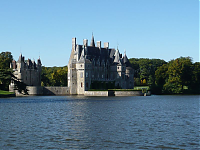 Missillac is surrounded by 3 districts from Morbihan and by 6 others from Loire-Atlantique, a real gateway from Pays de la Loire towards Bretagne but also from Loire-Atlantique towards Morbihan. It spreads around 6 000ha. The north (Pays de Redon) is separated from the south (Marais de Brière) by 17 km. Missillac ensures the continuity of county roads of heavy traffic, from East to Weast with a speedway "Nantes-Vannes", and from North to South using RD2-RD50 which provides the cross-links Saint-Malo-Rennes-Redon-Saint-Nazaire-Presqu'île. A little over 5 000 inhabitants live in this area. About 2 100 of them work either on the spot or in this area. Missillac is composed by 150 big or small enterprises. The activity area counts 25 that give work to 220 persons. Agriculture is really important with about 100 sites, 3 250ha are cultivated and represent 110 jobs. 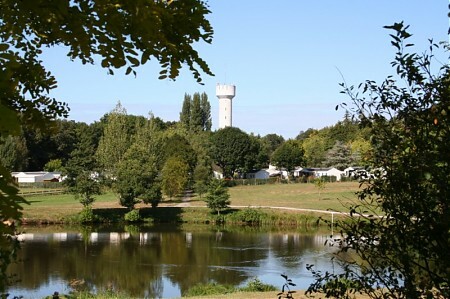 Before 2006, our Community from Saint-Gildas-des-Bois was compounded with 5 disctricts and now 4 other districts joined us to constitute the territory of le Pays de PONTCHATEAU - SAINT-GILDAS-DES-BOIS with 33 000 inhabitants. It spreads over 326km². Missillac is member of le Parc Régional de Brière. Actually, it is a nice place where it's good to take a rest. 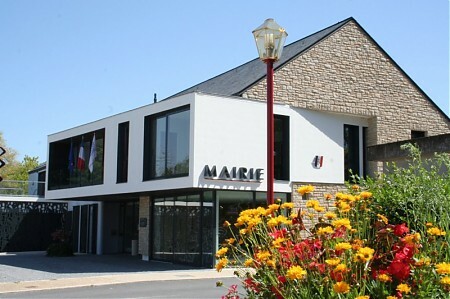 The qualities of " Villes et Villages Fleuris" (Town in bloom) et " Ville sportive " (Sports town) have been given to Missillac. It seems the name Missillac comes from the latin word "Missillius", who would be in fact a roman officer who would have had a little farm at la Bretesche. 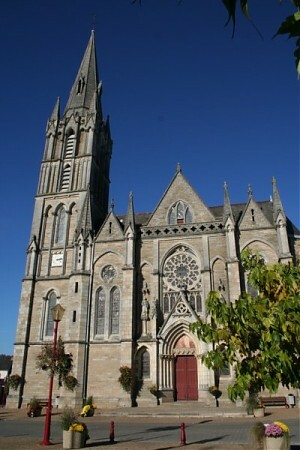 In 1150, the parish of Missillac is officially founded and administrated by the Benedictins from Saint-Gildas-des-Bois until Revolution. At the end of the XIXth the church was too small, so the Marquis de Montaigu decided to build another bigger one, solemnly consecrated in 1898. The history of Missillac is blent with La Bretesche castle's, the Barons of La Roche-Bernard's residence in the Middle Ages. While he was kept in Milan, François de COLIGNY, the owner, made the La Bretesche's Castle a citadel of the Reforme and also made the vicar come. On april the 19th 1965, his grandson solemnly abjured his mother and grandfather's protestantism and converted himself to catholicism. In 1636, Charles de CAMBOUT, Cardinal de Richelieu's cousin, became Baron La Roche-Bernard and took possession of La Brestesche. His grandson, Armand de CAMBOUT, Duke of COISLIN, Baron of La Roche-Bernard and Pontchateau, succeded him 1663. Then, succeded Pierre de CAMBOUT, the Duke of COISLIN's elder son, from 1702 to 1710 and after him, his brother Henri-Charles, bishop in Metz, from 1710 to 1732. His successor and cousin, Louis-Charles de LORRAINE, sold La Bretesche 400 000 pounds to REGNAULT - Gabriel de BOISGELIN, Marquis de Cucé, on january the 14th 1744. The castle got on fire on october the 17th 1793, by the Republican general ARVIL. This residence will stay put until 1813, when it will be bought by Mister FORMONT. Baron Jean-Jacques PERRON bought La Bretesche in september the 25th 1840. In november 1847, Jean-Jacques PERRON sold La Bretesche to Marquis Auguste de MONTAIGU and kept it in this family until 1965. The Marquis became the mayor of the Missillac in 1848 until his death in 1904, excepting during the second empire (1852 - 1871). The castle is restored by Pierre de MONTAIGU and Caroline de WENDEL, his wife. When making the road from Missillac to Saint-Gildas-des-Bois in 1849, the roadworks revealed lots of tombs from the VIIth ou VIIIth century. In Saint-Pierre and Saint-Paul Church, you can find stained glass windows from 1966, representing scenes of Christ's life, donated by François de COLIGNY, Baron of La Roche-Bernard. Many manors were built on Missillac's territory but also many chapels and mills of which little remnants remains.